The team of explorers responsible for the discovery set out to the distant, inaccessible and uninhabited region due to consistent rumors that the place was the site of a legendary, ancient “White City,” also specified in legends as the “City of the Monkey God.” The team of American and Honduras archaeologists returned from the site with incredible discoveries. They mapped large plazas, mounds, earthworks and an earthen pyramid belonging to a culture that thrived about a thousand years ago, and mysteriously vanished afterwards. They also found a rare cache of stone sculptures at the base of a pyramid that remained untouched since when the city has been deserted, a fact suggesting that the cache may have been left as an offering. One of the more curious aspects is that the remains were left untouched since the island had last been inhabited. Were the looters kept away from this place due to its great spiritual importance? The undisturbed context is unique. This is a powerful ritual display, to take wealth objects like this out of circulation. To complete the intrigue and mystery of this mythical lost city, the culture of its people remains mostly unknown. Unlike other ancient sites in Maya, which stands in the vicinity, this area has not already been well documented or researched. The archaeologists found the tops of 52 artifacts peeking from earth, and many other artifacts below the ground. The objects found on the surface include stone ceremonial seats and finely engraved vessels decorated with snakes, zoomorphic figures and vultures. The team analyzed these as possible burial sites. The most intriguing artifact rising from the ground so far is the head of a “were-jaguar“ probably representing a shaman in a transformed spiritual state. 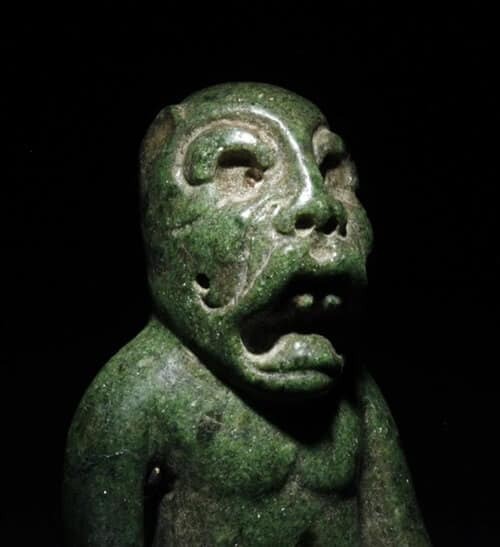 The head archaeologist at the Honduras Institute of Anthropology and History, Oscar Neil Cruz, said that the artifact dates from 1000 to 1400 A.D.
Another curiosity is added by the fact that the unearthed objects were not excavated, but only documented and left untouched. Perhaps the researchers found something so meaningful that it must be kept as a secret for now. According to the official info, the site has been discovered in late 2012, but only now is the location being revealed as to protect the site from looters. Several expeditions have searched for the White City, or Ciudad Blanca, since 1920. The most famous of these expeditions was led by the curious explorer Theodore Morde, who returned from Honduras with thousands of artifacts and exclaiming that he managed to enter the city. According to Morde, the indigenous people said it contained an enormous, buried statue of a monkey god. He refused to reveal the location of the city based on the same principle as today – out of fear that the site would be looted. He later committed suicide and the location of his site was never identified. 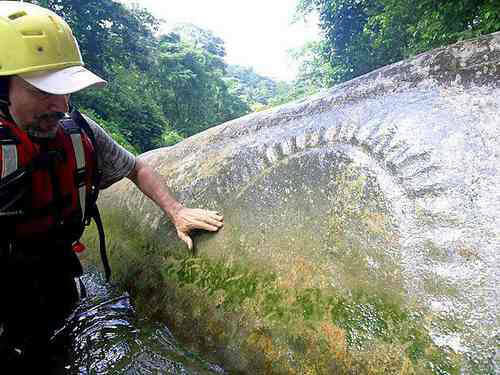 Is it possible that what Morde found in Honduras was more than just artifacts and a lost city? Other expeditions in search of the White City took place in 2012 and the ruins were finally revealed during an aerial survey of a remote valley in La Mosquitia, which is the place from where it is thought Morde brought back the artifacts in the 90’s. Researchers then utilized a Cessna Skymaster aircraft and a multi million dollar laser scanner, and discovered abnormal features covering more than a mile throughout the valley. The team of researchers found that the terrain along the river had been almost entirely transformed by human hands. The region consisted of swamps, rivers, and mountains representing some of the last scientifically unexplored places on Earth’s surface. 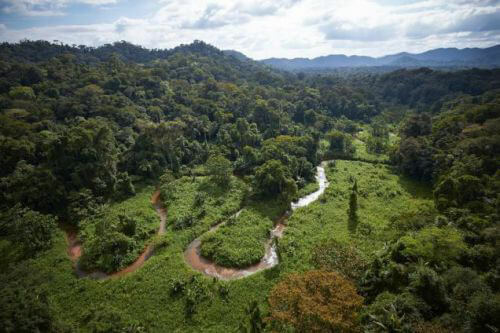 Before the discovery of the valley in 2012, explorers and researchers recalled stories of a lost city peeking from above the jungle vegetation. Local indigenous stories speak of a “White House“ where their people took refuge from Spanish conquistadores. This fabled white house was presented as a mystical, Eden–like paradise from where no one ever came back. The ground exploration team confirmed each of the images seen from the air, along with other exclusive details. 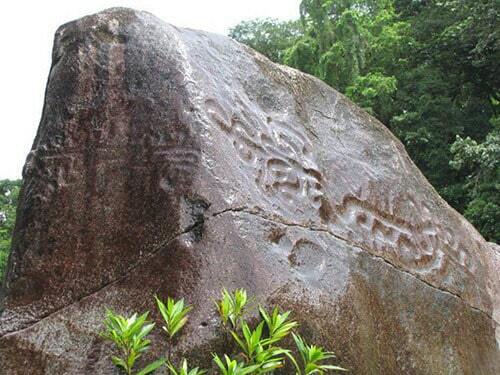 They indeed discovered an ancient city, but the archaeologists no longer consider the existence of a single “lost city“ but an entire lost civilization harbored by the Honduras’ Rainforest. The valley is so primitive that the animals appear to have never seen human beings before. According to the team examining the site, spider monkeys were emerging down curiously from the trees above. A guinea hen and a tapir were also spotted wandering into the camp without any fear for the human visitors. According to the evidence gathered until now, it seems we are talking about a nameless civilization, and according to local legends and beliefs, it should be the White City of the Monkey God. What seems strange about this expedition is that the team of explorers was formed of American and Honduras archeologists, a lidar engineer, an anthropologist, an ethnobotanist and documentary filmmakers, each of them guarded by sixteen Honduras Special Force soldiers, thus raising some question marks. Why did this expedition have so many resources dedicated to it? And also, why are they afraid of looters when they have soldiers guarding them with years of a head start? Could these events be somehow related to the “White Gods“ of the Mesoamericans?